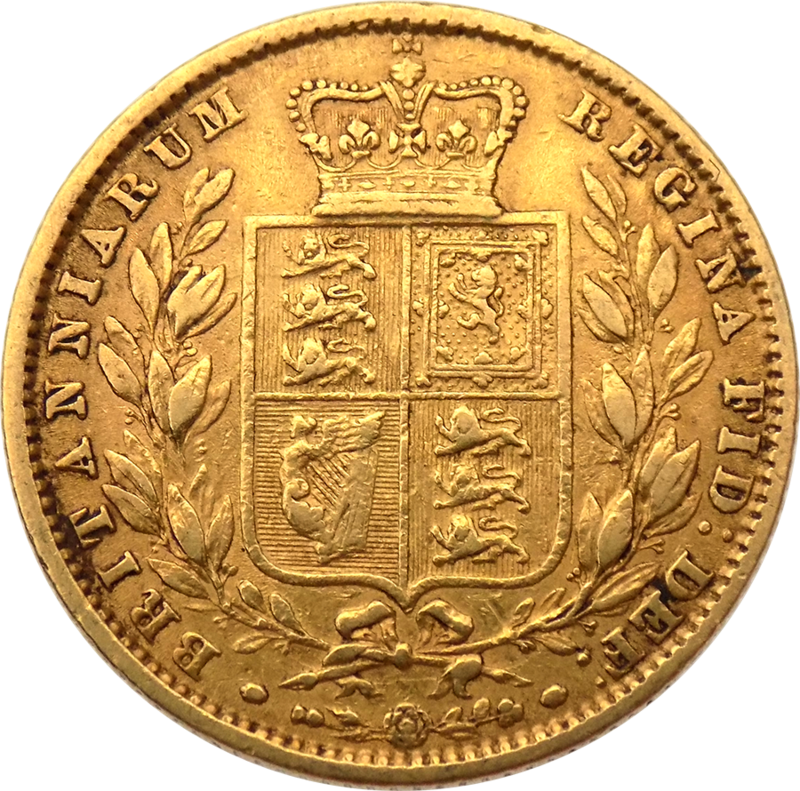 The Pre-Owned 1861 London Mint Victorian "Shield" Full Sovereign features a Shield design reverse rather than George & the Dragon. A new Ensigns Armorial was commissioned for the reverse of Victoria’s first sovereign. It was designed and engraved by Jean Baptise Merlen and depicts a shield, adorned with a crown and a wreath. The conjoined rose, thistle and shamrock represent England, Scotland and Ireland. 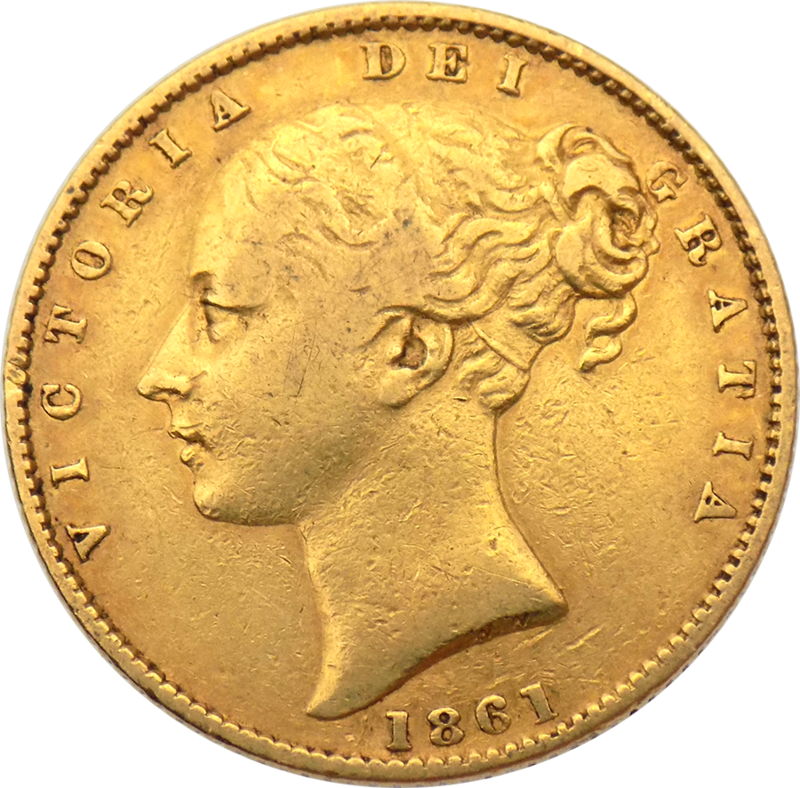 The obverse depicts the 'Young Head' portrait of Her Majesty Queen Victoria and the coin’s year-date. Victorian Shield Sovereign’s were only issued up to 1875, for the remainder of Her Majesty Queen Victoria’s reign the reverse of all sovereigns struck at the Royal Mint in London depicted Benedetto Pistrucci's George & the Dragon design. This photograph shows the coin you will receive.